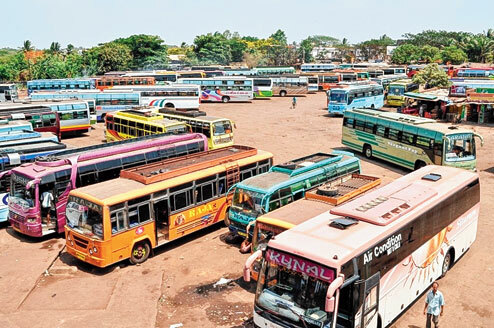 Bhubaneswar:12/12/18: The Odisha government today reduced the bus fares across categories under the automatic fare revision mechanism after reduction of fuel price. A notification issued by the State Transport Commissioner on Wednesday stated that the fare for ordinary and express buses has been reduced by 2 paise per km. Besides, the fare of deluxe and AC deluxe buses has been slashed by 4 paise per km, the notification added. While the fare for ordinary buses will now be 68 paise per km as against 70 paise per km earlier, the fare for express buses has been slashed to 71 paise from 73 paise per km. With the new fares coming to effect, deluxe category buses will charge 97 paise per km as against 1.01 paise earlier and commuters travelling in AC Deluxe buses will have to pay Rs 1.19 instead of the current Rs 1.23 paise per km, the notification further mentioned. Last month, the state government had reduced the bus fares across categories. While the ordinary and express bus fares were slashed by 2 paise/ km, deluxe and AC deluxe by 4 paise/km.